Known for its softness, lustre and long wear, this Satin Stripe Latte Polyester Pillow Case is crafted from 100% high quality durable polyester fabric for the ultimate in luxury. 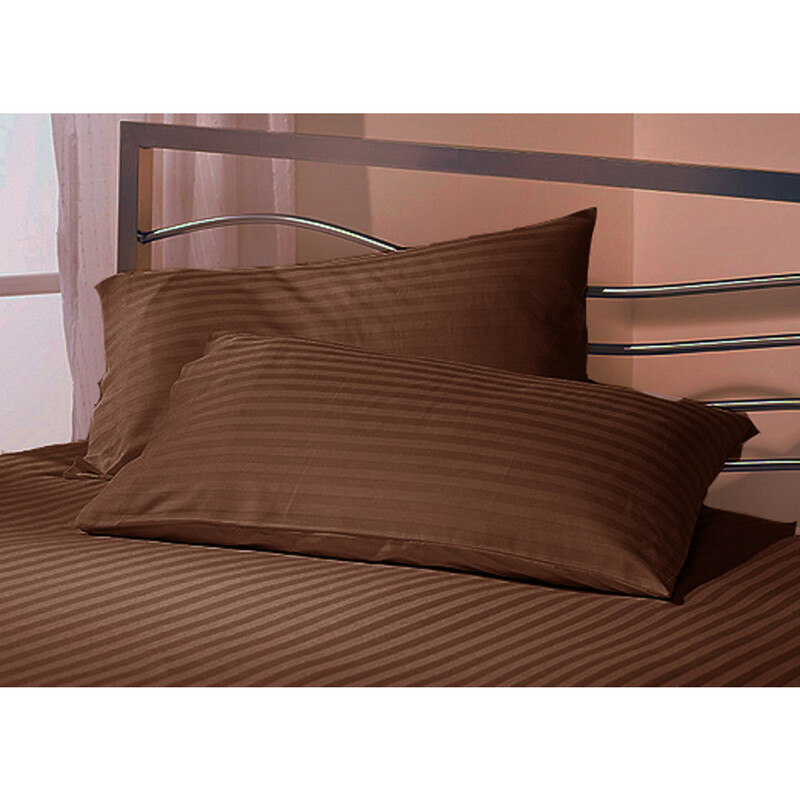 With our latte colour pillow case that is festooned with beautiful satin strips, bedding doesn’t get better than this. Our sumptuous pillowcase is easy to maintain as it can be machine washed at 40°C and tumbled dried wash with similar colours. Get this stunning pillow case in size of 19" x 29" (48cm x 74cm) and give your bedroom a luxurious and graceful look.